Like so many other services, professional land surveying has changed greatly over the years, based on the development of new technologies. What makes land surveying unique is its long and complex history, and understanding that history can be important to comprehending the current state of land surveying procedures. Read on for a brief overview of land surveying history, followed by a look at some of the technologies that are driving land surveying into the future. First of all, it’s noteworthy that land surveying has played an important role in human society for almost as long as there has been human society. According to the History of Land Surveying from Purdue University, the original land surveyors were ancient Egyptians, who needed to create precise and accurate plots of land for the purposes of taxation. From there, land surveying would go on to play a pivotal role in other great civilizations. According to the German website Vermessungs-Suchmaschine, land surveying enabled many of the feats of engineering that defined the Roman Empire. In order to complete their impressive construction projects, the Romans made many advancements in the field, including the organization of a surveyor’s guild and the introduction of many early surveying instruments. Like many other fields of study, land surveying languished in Europe during the Middle Ages, with very few new developments occurring during this time. The Domesday Book, created in 1086 in the aftermath of the Norman Conquest of England, was one impressive example of a land surveying project during the Middle Ages. However, the level of accuracy provided by the document certainly does not live up to modern standards. During the colonial era, European powers like France and Great Britain needed detailed maps to back up their land claims in the New World. This fact led to the development of new, more advanced surveying techniques. Coincidentally, it also led to the career of perhaps the world’s most well-known historical surveyor: George Washington. Before he became a military and political leader in the early United States, young George Washington got his start as a land surveyor in western Virginia. 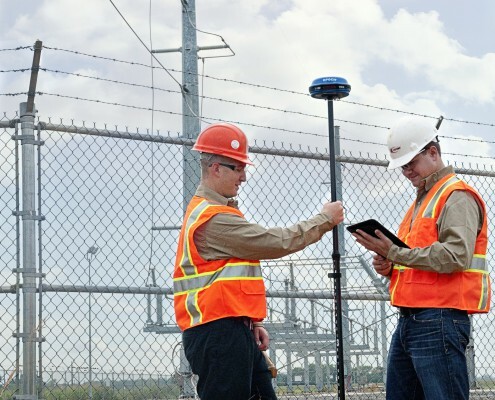 Land surveying has certainly come a long way over the years, and today’s surveyors are able to work with technologies that those coming before them could only have dreamed of. This is not to suggest that today’s land surveyors are better or more capable than those of the past; they merely have a more advanced tool set, which allows them to create more accurate results. 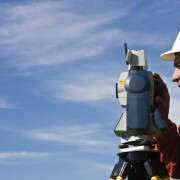 Land surveying has played a pivotal role throughout history, and the technology and techniques land surveyors use have always been influenced by what’s going on in the world as a whole. Whether it’s collecting taxes, building roads and aqueducts, or pushing west into an unknown continent, land surveyors have always found ways to meet the needs of their employers, and things are no different today. With land values at all-time highs, and growing concerns over sustainable building practices, today’s land surveyors are under a lot of pressure to work both quickly and accurately. That’s why they’ve come to rely on technologies like Unmanned Aerial Vehicles (UAVs), 3D Laser Scanning, and GIS. UAVs, commonly known as drones allow land surveyors to operate from above, quickly gathering large amounts of information at a very high level of detail. This data can then be used to create multiple types of deliverables such as point clouds, digital elevation models, and othro imagery. 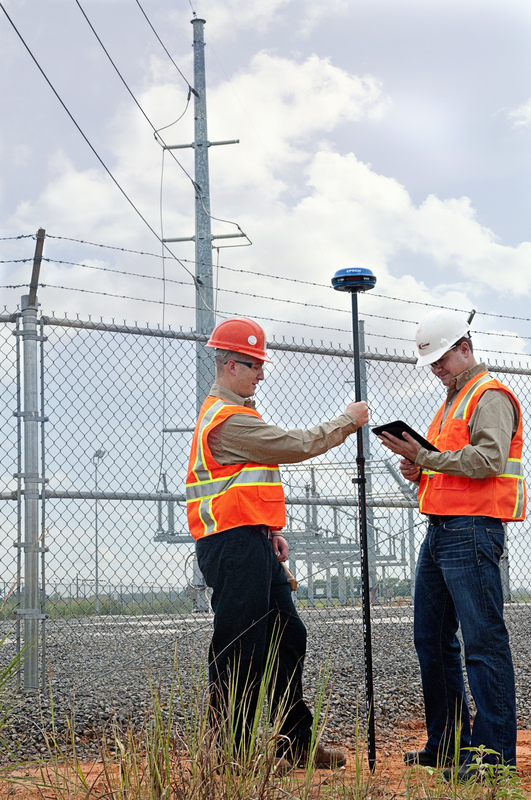 With 3D laser scanning, land surveyors are able to track the path of a series of laser points as they leave and return to the scanner. Surveyors are then able to put together very accurate 3D models as this technology is one of the easiest ways to get a detailed look of an area. Finally, GIS mapping technology allows land surveyors to conduct more detailed data analysis by creating a visual representation of spatial relationships. This makes it easier for surveyors to make good decisions about where to conduct projects. Today’s professional land surveyors are able to complete work that would never have been possible in the past, which is why you’ll want to make sure you’re working with a surveyor that knows how to make the most of the latest technologies available to them. Contact Landpoint today to learn more.